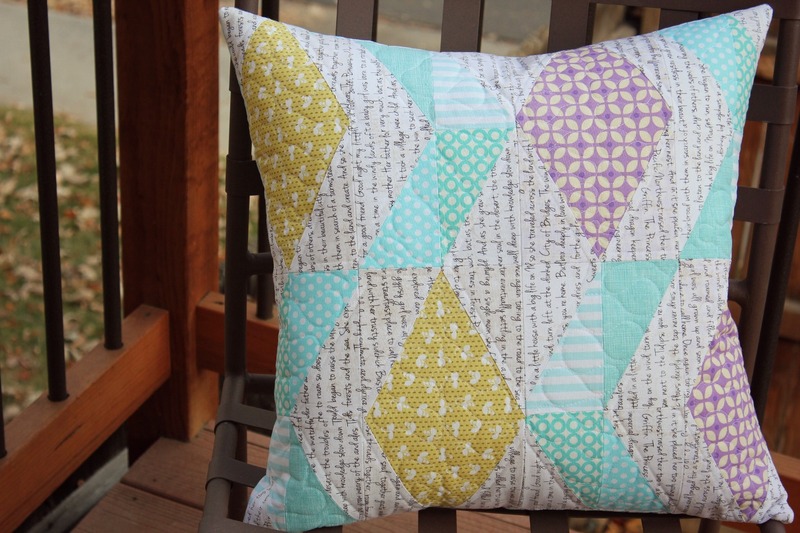 My Pillow Talk Swap pillow is officially done and mailed! I’m really glad I chose to remake the pillow. My piecing was much improved and I even like my 2nd fabric choices better. My partner loves text prints (featured in both Version 1.0 and 2.0) and is a big fan of modern designers, so I grabbed some of my favorites from my stash to make this 20-inch, half planned (“business in the front”), half improvised (“party in the back”) pillow. Since the piecing is all geometric shapes, I wanted to quilt it with a more fluid design. 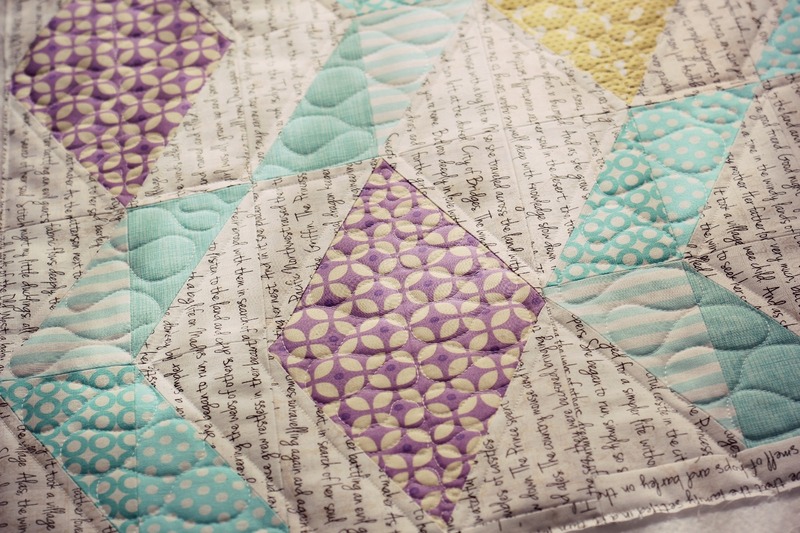 I love the juxtaposition of the angles and diamonds and the bubbly quilting. I recently purchased a big batch of stash builders on sale from Pink Castle (hello, moving sale!) and didn’t even need to buy any additional fabric for my pillow. I, um, had plenty to choose from. I’m on a self-imposed fabric-buying fast for the next few months (until Field Study voiles ship to stores, that is –let’s not get too extreme with this). 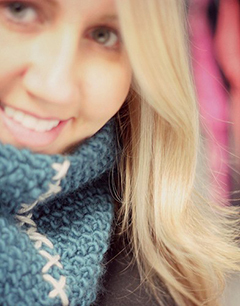 I love both versions of you pillow – I’m sure your partner will adore it. Love your stash too, it’s so neat & tidy! 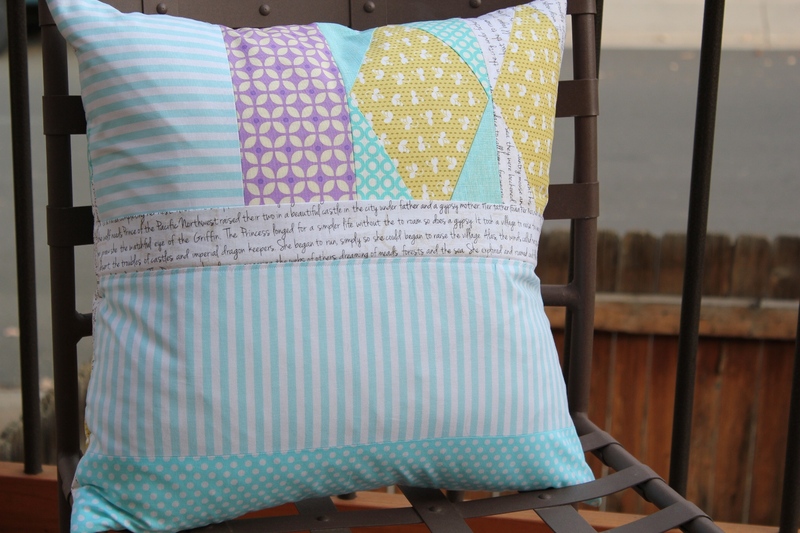 Beautiful pillow and pretty fabrics! This pillow is beautiful I’m sure your partner will cherish it. Love your fabric stash Marta. Gorgeous pillow and that fabric is a type-a, OCD persons dream!! Wow! They are both beautiful! 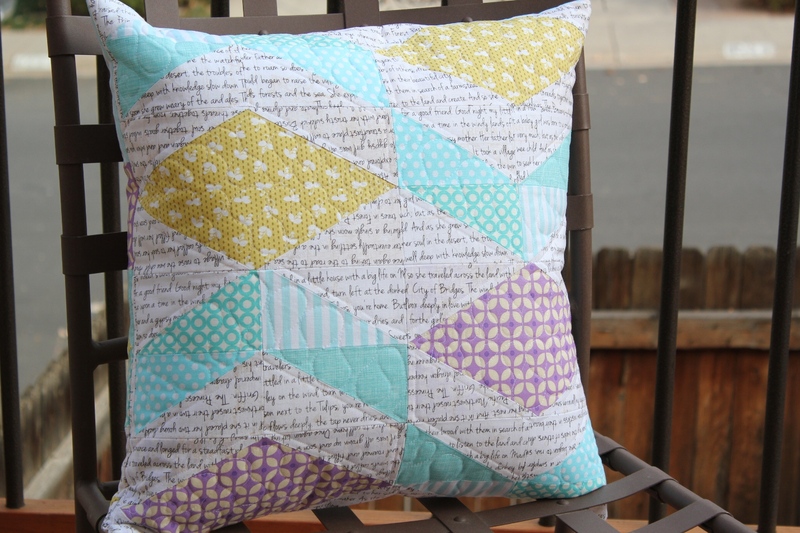 This is such a fun design and I really like your quilting. Measure seventeen times…cut once—i mean throw the project away. Turned out beautifully. 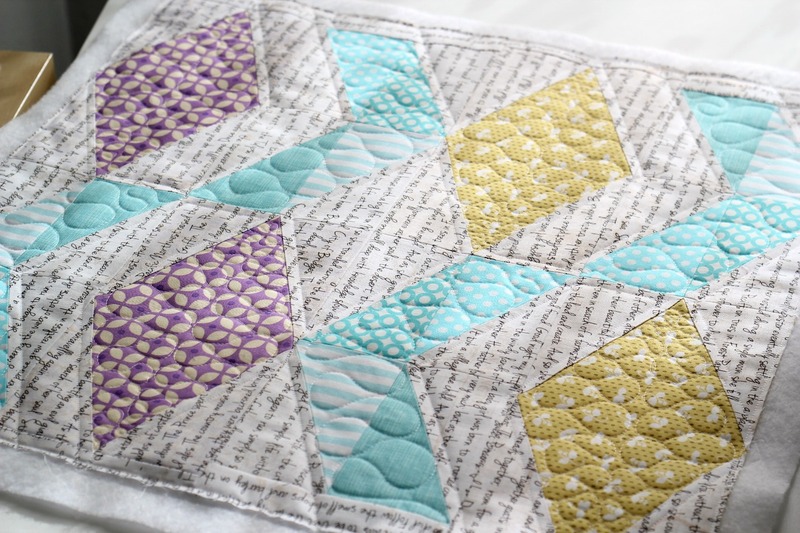 Your googly quilting is the bees knees. Love this! I’m normally not a purple girl (I”m trying), but that purple is so juicy! I hope you have something planned for version 1.0, it’s still cute even if it’s not perfect.